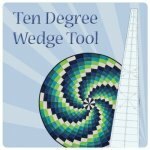 New pattern for the ten degree wedge! 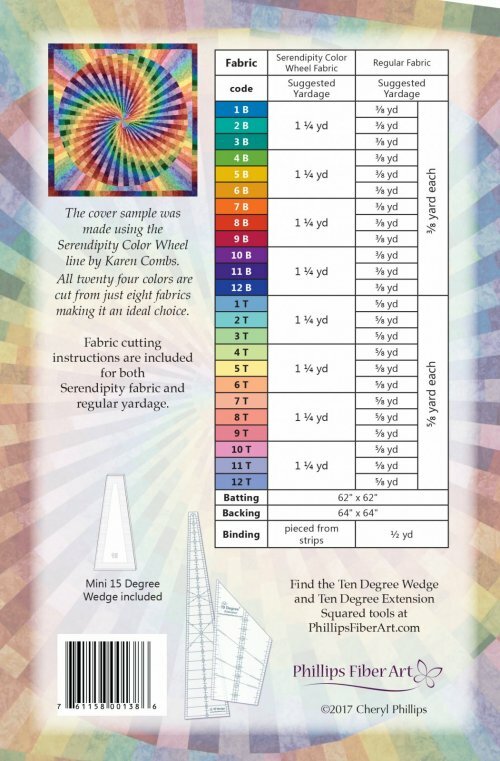 A new pattern for your ten degree wedge! A rainbow of bold colors shadowed with a softer tints make up the wedges. 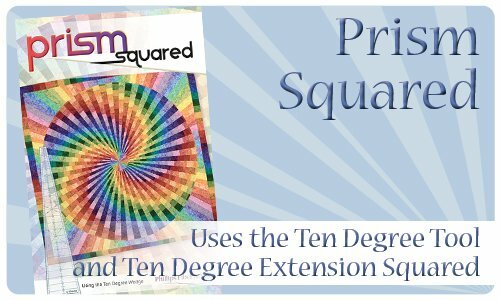 Each wedge is extended to finish the circular design into a 59" square. Surprisingly easy strip set method makes this a doable project. 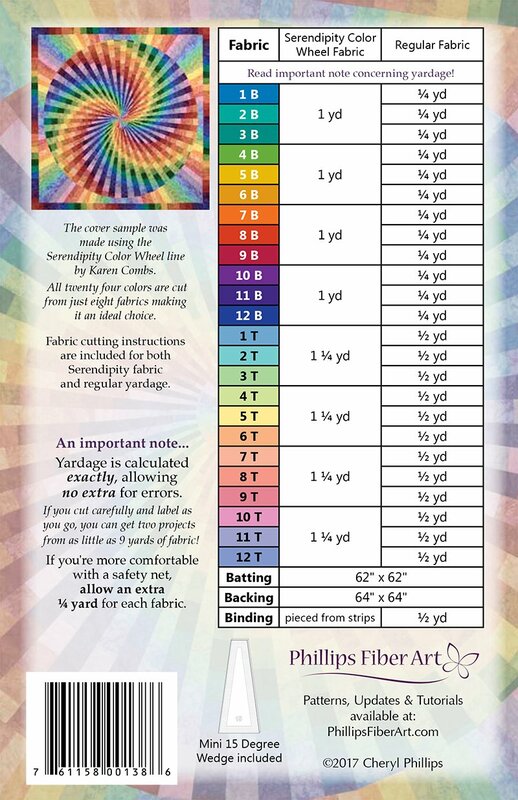 as you can see by the yardage chart below. 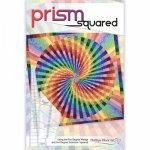 The pattern includes paper templates for the squaring portion. which makes the process simpler. Please select a Two Piece Ten Degree rather than the full length version. 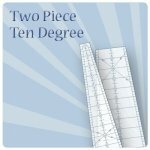 The Two Piece Ten Degree will work in the same and will save you money! Click on Free Free Free to find assortment.